Hazel, Fiver, Bigwig, Nipkin, Dandelion, and so many others have filled my imagination for the past two weeks or so. 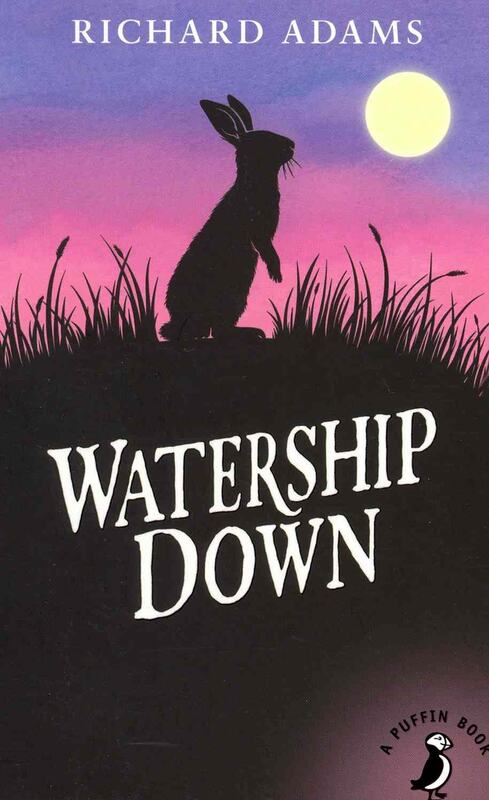 I was listening to the audiobook version of Watership Down by Richard Adams, read by Ralph Cosham. It’s a fantasy book about a group of young rabbits leaving their warren all based on a feeling. They meet many friends and foes and along the way you learn about the habits of rabbits. The novel is different than some novels I’ve read or listened to about animals being anthropomorphized. The most striking comparison I have are the Redwall books. In the world of Redwall, the mice and other woodland creatures have many characteristics that are human or make them sound and act like “civilized” creatures. Not to say that living in a warren or burrow can mean you’re not a colony of civilized animals. In Redwall, there’s the concept of the main Abbey which is built by mice and all around the story of Redwall, countless creatures battle over control of Redwall using human tools like swords, bow and arrows, and even siege equipment. I can’t summarize all the characters but the spiritual and out-of-this-world emotions that I felt from things Fiver said and experienced made me really love this book. The way he acted in the beginning to how his character developed into a savant from an obscure little brother made this book just so much better. Hazel’s character developed a lot but his character was predictably changing, I did not anticipate the changes and experiences that Fiver went through. Other characters were so good in their own ways like how Dandelion was such a good storyteller, Bigwig a brave and strong rabbit, and Pipkin who was a shy and honest rabbit. I am aware that the book didn’t do a great job of putting female characters in stronger roles but the book’s a retelling of bedtime stories, I don’t think it was meant to address inequality or to comment on the actual lives of rabbits past the aspects that are mentioned in the book. The past few days, I’ve done some googling into the movie versus the book and how different they are and I’ve decided to not watch the movie because of how many changes will be in the movie and I would rather keep my imagination filled with Richard Adams’ narrative instead of a reinterpretation of it. Overall, I loved this book, I would highly recommend it! A new Watership Down series came out in 2018, you can watch it on Netflix.